This is the third of three articles briefly describing and analyzing the various plans that are slated to come before the special, called General Conference in St. Louis, Missouri, February 23-26, 2019. Readers wanting to read the official reports, plans, and enabling legislation can click HERE. See Exhibit B, pages 34 through 81 of the whole document to review The Connectional Conference Plan. Perhaps the most creative approach for preserving United Methodist Church unity, while also facilitating some separation for the sake of peace, is the Connectional Conference Plan (CCP). Unfortunately, it is also the most complicated and time- consuming of the three plans the Commission on a Way Forward is putting before the special General Conference slated to convene in St. Louis, Missouri, February 23-26, 2019. The CCP calls for the elimination of the UM Church’s five geographical jurisdictions in the U.S. They would be replaced with three new theological “connectional conferences.” The present geographical jurisdictions would be given the opportunity to identify with a conservative, centrist, or progressive connectional conference. Any annual conference within a current regional jurisdiction opposed to the majority’s decision would have the freedom to join another connectional conference. And any local church that did not want to follow its annual conference into its chosen connectional conference would likewise have the freedom to join another connectional conference. Hypothetically it might look something like this. The Northeastern Jurisdiction votes to join the progressive connectional conference, but the Western Pennsylvania Annual Conference demurs, and decides it will join the centrist connectional conference. However, Smithville First UM Church (fictional) decides it will part ways with both its annual conference (Western Pennsylvania) and jurisdiction (Northeastern) in order join the conservative connectional conference. 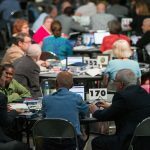 While the three new connectional conferences would continue to share the name United Methodist, they would have a great deal of autonomy in terms of their own social principles, governance structure, and the funding of their conferences. The progressive connectional conference would undoubtedly adopt ordination standards and redefine marriage in ways that accommodated all people in the LGBTQI+ communities. The centrist connectional conference would adopt a latitudinarian approach, closely akin to the One Church Plan (OCP). And finally, the conservative connectional conference would maintain the UM Church’s present teachings on these matters. As for the existing central conferences in Africa, Europe-Eurasia, and The Philippines, they would trade in the word “central” for “connectional,” and so become their own connectional conferences (still based on geography). However, if they wanted, they could align with another connectional conference in their area or align with one of the three new connectional conferences in the U.S. Each new connectional conference would elect and fund its own bishops, and bishops in one connectional conference would have no say over matters in another connectional conference. All of the new connectional conferences would continue to share and support a significantly reduced UM Church institutional structure that included Wespath (i.e., the body formally know as the General Board of Pensions and Health Benefits), the General Council on Finance and Administration, the UM Publishing House, General Board of Global Ministries, and the UM Committee on Relief. General Conferences would continue to meet, but only every five years, and only to deliberate on services all the connectional conferences shared in common. A Council of Bishops would also continue to exist, but it would function more as consortium and ecumenical body where ideas and best practices could be shared. While some of the CCP’s features might be appealing to a broad swath of United Methodists, other aspects of it are problematic. In order to be implemented, nine constitutional changes would be required. Not only would two-thirds of the 2019 General Conference delegates have to support the plan, two-thirds of all annual conferences worldwide would have to ratify it as well. Because of the constitutional hurdles and other requirements, it would take a minimum of four years for the CCP to be fully implemented. It is also not readily apparent how local UM churches affiliated with different connectional conferences would distinguish themselves from other UM churches. It will surely come to pass that one UM church, just miles from another, will promote teachings the other vehemently disagrees with. Indeed, this is precisely why some local churches have already left the denomination and others are seriously considering the option. They do not want to share the same church name with other local churches that accept practices they deem contrary to Scripture and 2,000 years of Christian teaching. Finally, like the OCP, the CCP offers no exit path for local churches to simply part ways with the UM Church. With justification, some local churches are dubious the CCP would ever be implemented as advertised. They believe the long time line for implementation would allow for backsliding on key provisions (e.g., the guarantee that conservative connectional conference would not have to fund progressive bishops’ salaries and their liberal agendas). Furthermore, they believe a truly and genuinely united church should only want to move forward with the willing, not the constrained. At this juncture, many United Methodists believe – as even the members of the Commission on a Way Forward once did until the Council of Bishops got involved – that all the plans should include an exit path. Whether it is true or not, many local churches believe the absence of such a path is more about maintaining the steady flow of apportionment dollars to fund what they regard as a bloated and largely ineffective institution than about genuine unity. Unless the Connectional Conference and One Church Plans are amended, then only the Traditional Plan includes a fair and gracious path for any local church – conservative, centrist, or progressive – to leave the denomination. At this juncture, the UM Church would be well served finding out who really wants to be a part of it, rather than spending fruitless time and energy constraining others who wish to leave with the threat of the trust clause. Walter Fenton is an elder in the Greater New Jersey Annual Conference, and the WCA’s vice-president for strategic engagement.